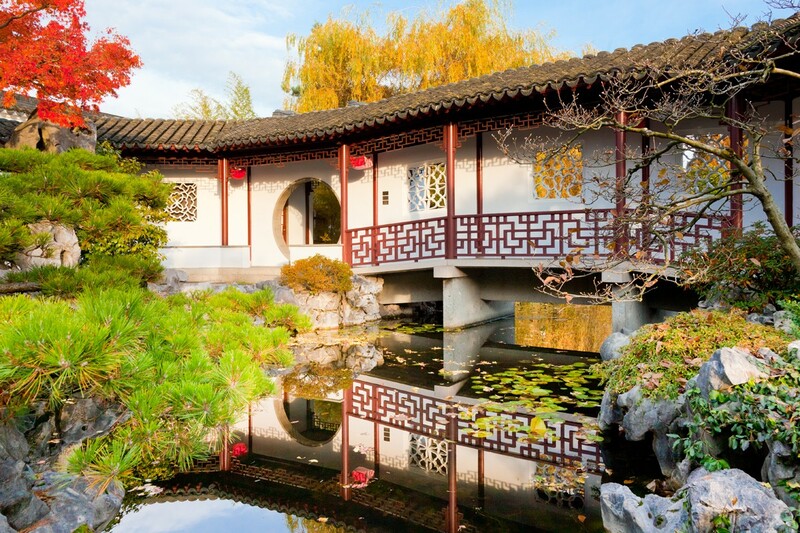 Located in the heart of Chinatown, this home garden offers serenity, history and great chi. 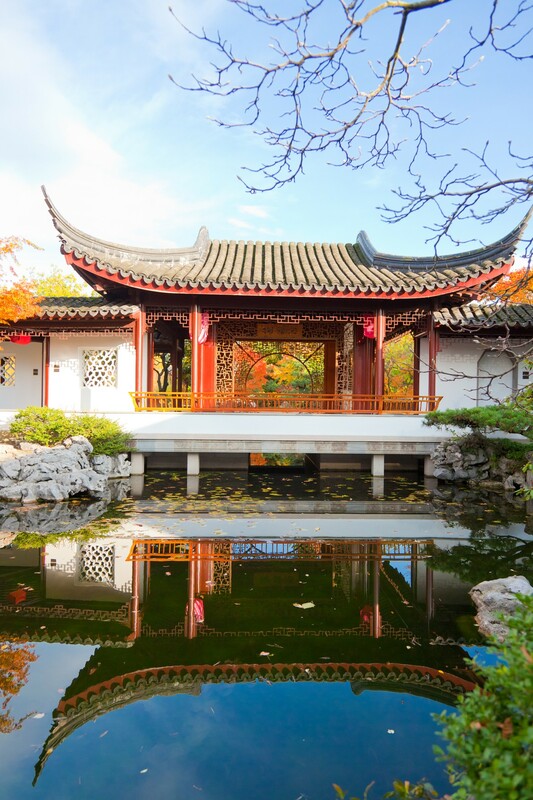 Modeled after private gardens in the city of Suzhou, China, the Garden embodies the Taoist philosophy of yin and yang, where every element-light, texture, vegetation - is balanced and symbolic. 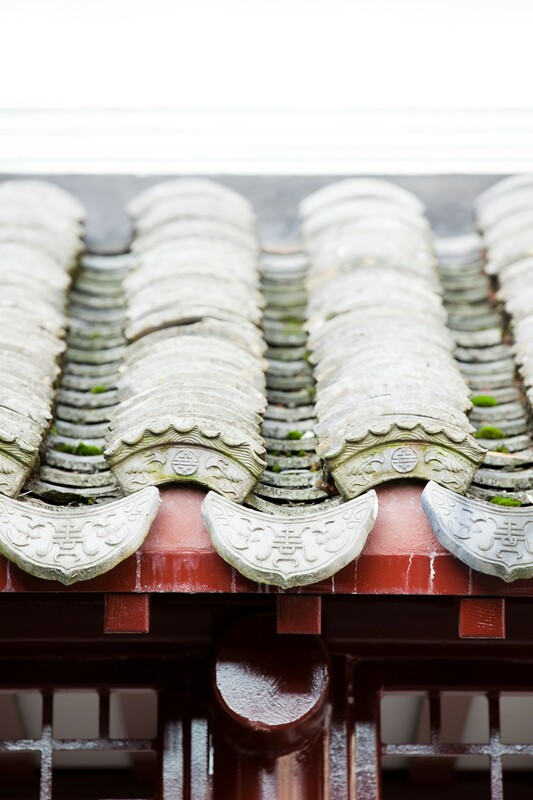 The architecture of the pavilions, covered walkways, terraces and viewing platforms evokes Ming Dynasty classical design. Rocks and water are integral elements, while trees and plants, all have symbolic connotations. 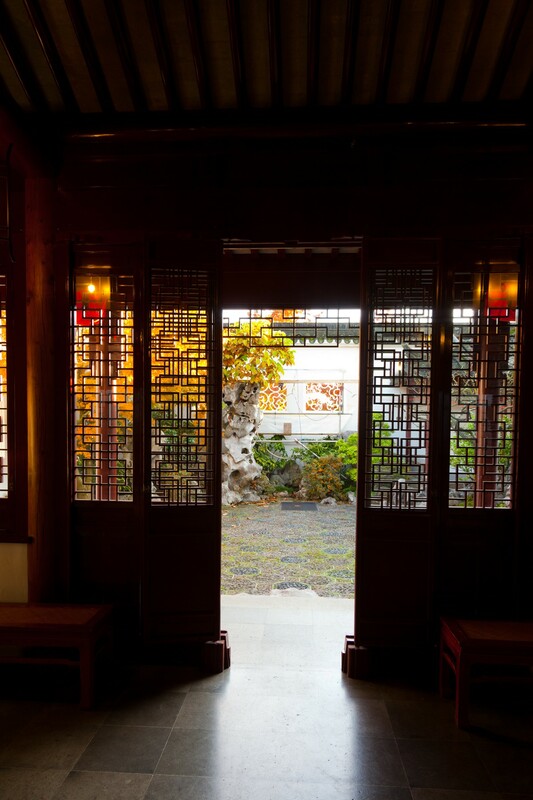 Two of the Garden's most intiguing elements are the 43 leak windows (each one has a different lattice pattern) and the groupings of Tai Hu rocks, imported from China's Lake Tai. 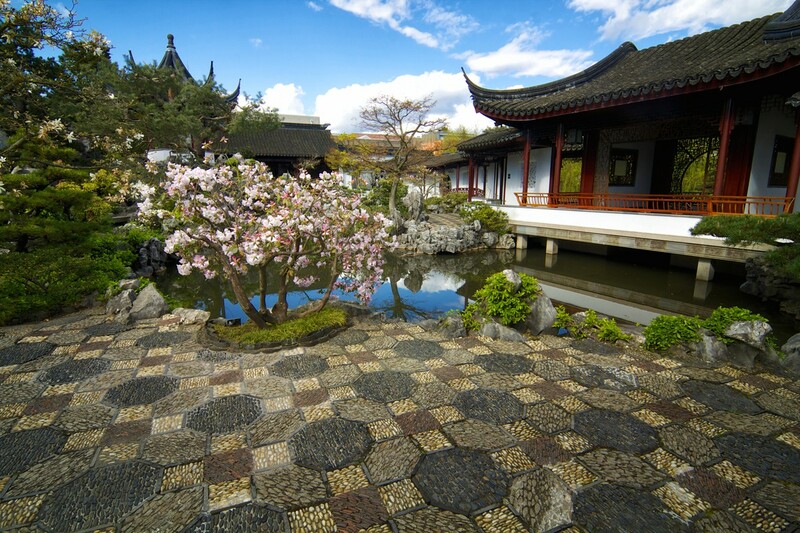 Named the World's Top City Garden by National Geographic. 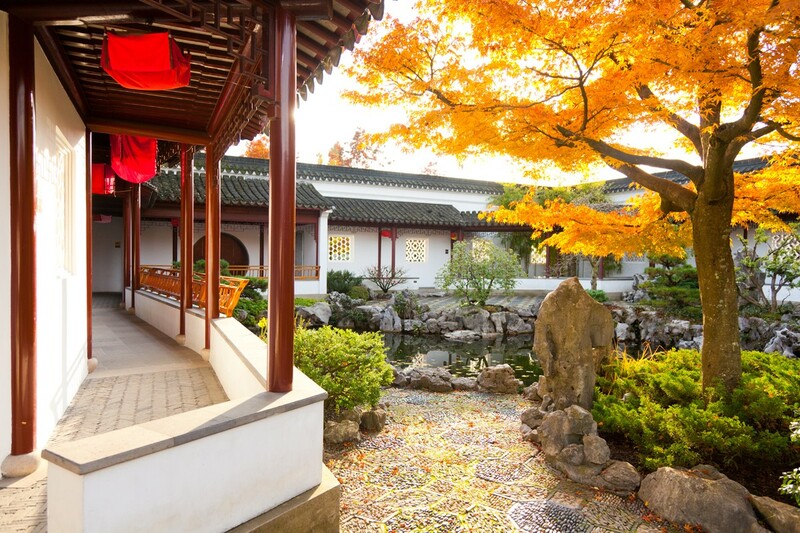 Look for the contrasting view of 15th century Ming Dynasty architecture and Vancouver's cityscape at Dr. Sun Yat-Sen Classical Chinese Garden. 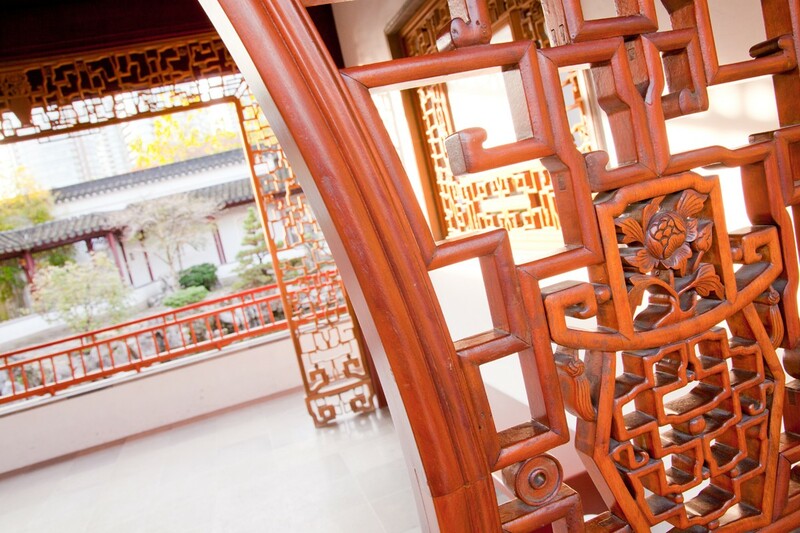 Enjoy traditional Chinese tea service every Friday afternoon and the year-round exhibitions. 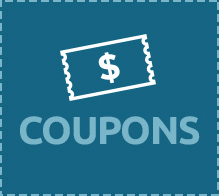 Visit the garden's website for more information. 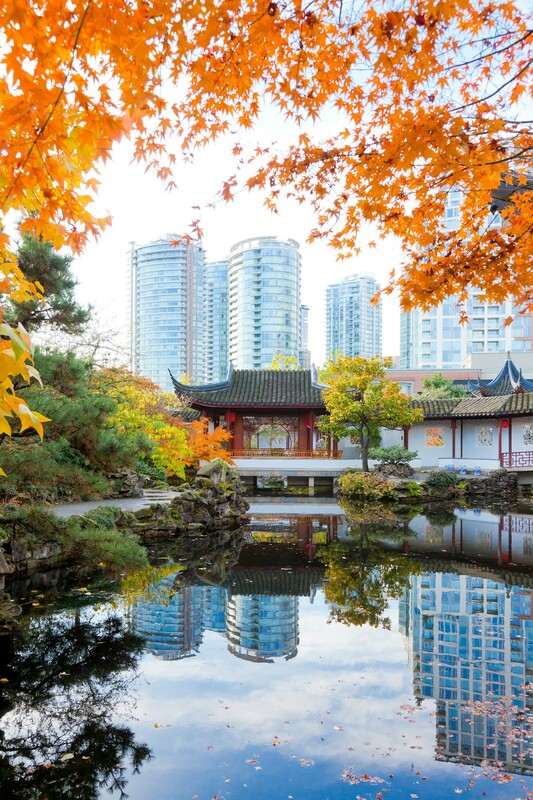 Iconic city landmarks near us, Vancouver Chinatown Millennium Gate and historic Gastown, get a bird's eye view of the City from the Vancouver Lookout!, just a 5 minute walk from here. The Garden will be closed all day Sunday, April 7 for filming. We apologize for any inconvenience this may cause. Please come visit us another day! Today, we said goodbye to @paulwongprojects 鹹水埠溫哥華 / Saltwater City Vancouver neon. 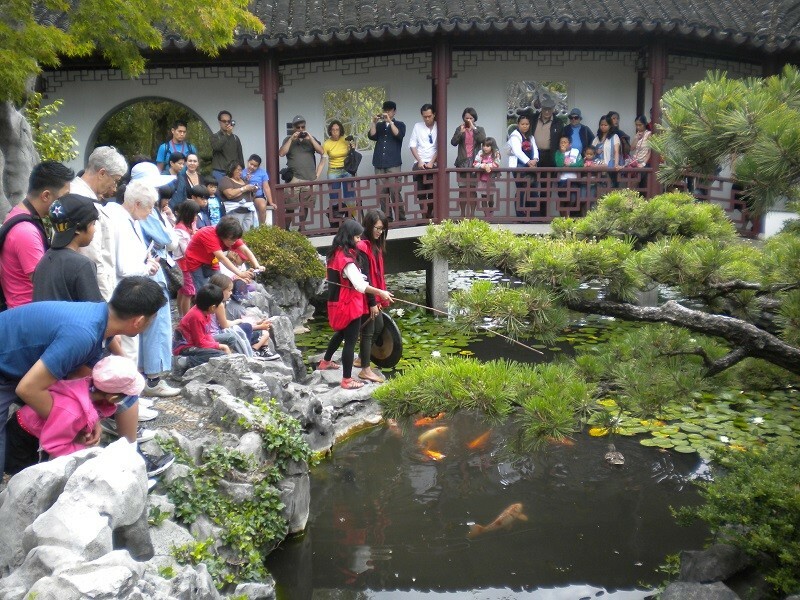 It was the first site-specific piece of the artist's year-long #OccupyingChinatown residency at the Garden. 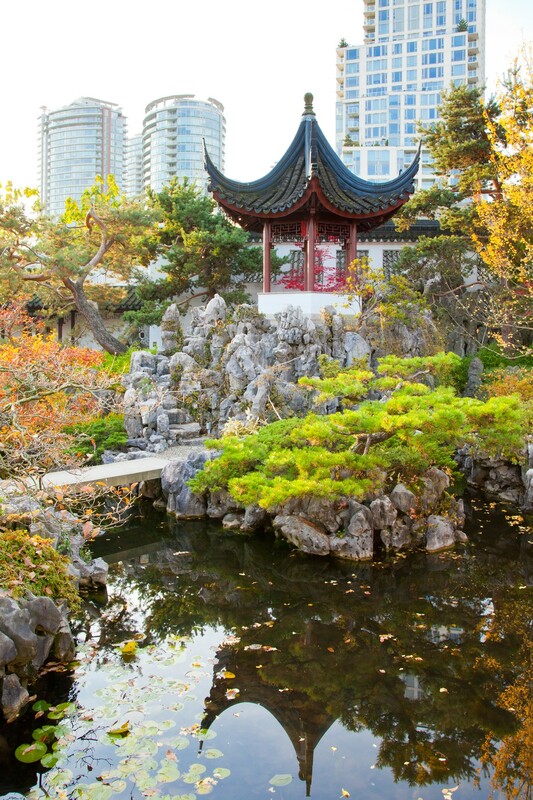 Located downtown in Chinatown at the corner of Carrall & Keefer, near Stadium Sky Train. From downtown, you can walk directly down Pender Street going East and you will find the Garden!